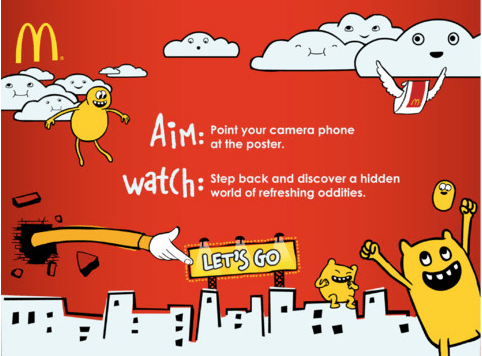 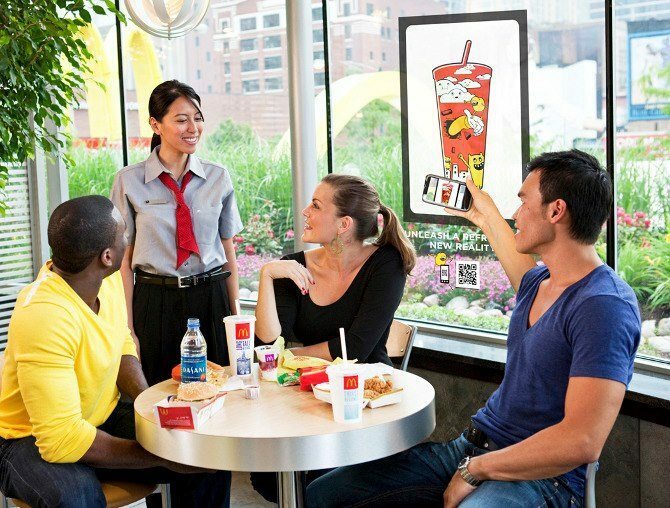 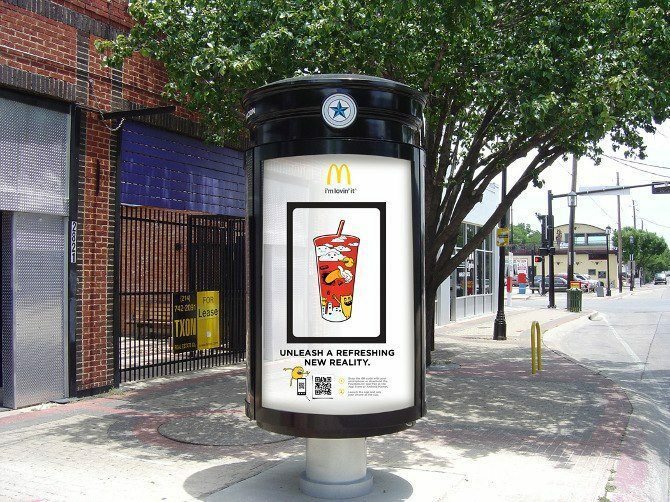 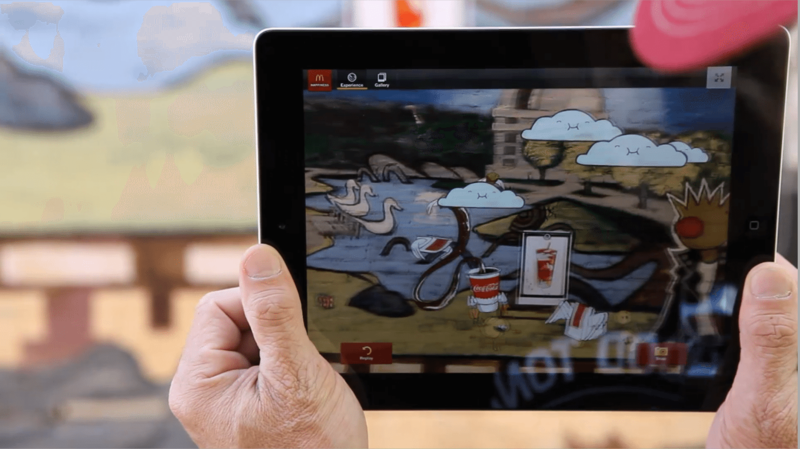 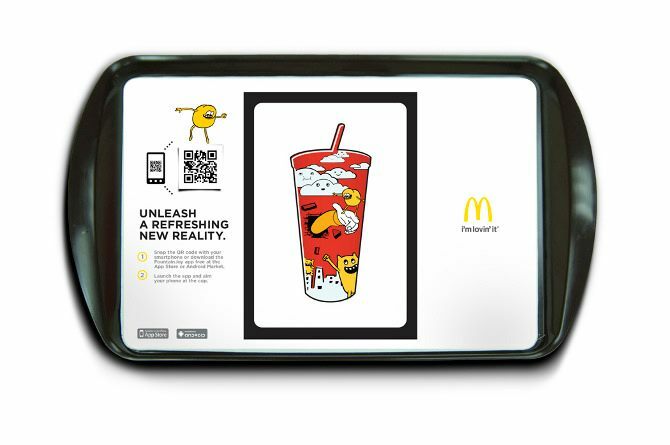 McDonald’s and Coca-Cola have plunged into the world of augmented reality (AR) with a whimsical joint campaign to promote the fast food giant’s latest promotional offer. 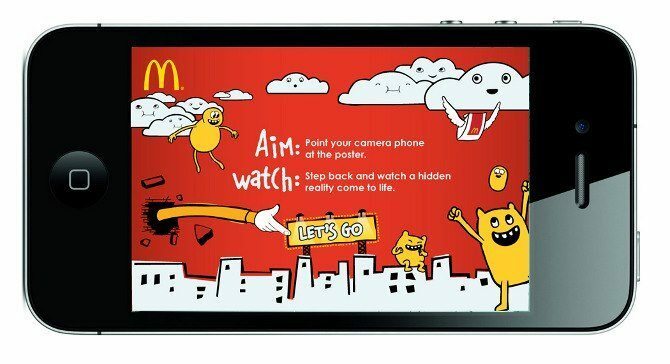 The campaign takes designs created by ad agency Moroch for McDonald’s print campaign and transforms them into a playful, shareable digital experience aimed at customers age 18 to 34, a notoriously fickle demo that’s spending more time online than with traditional media outlets. 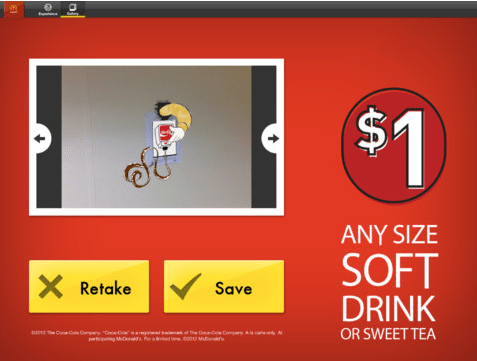 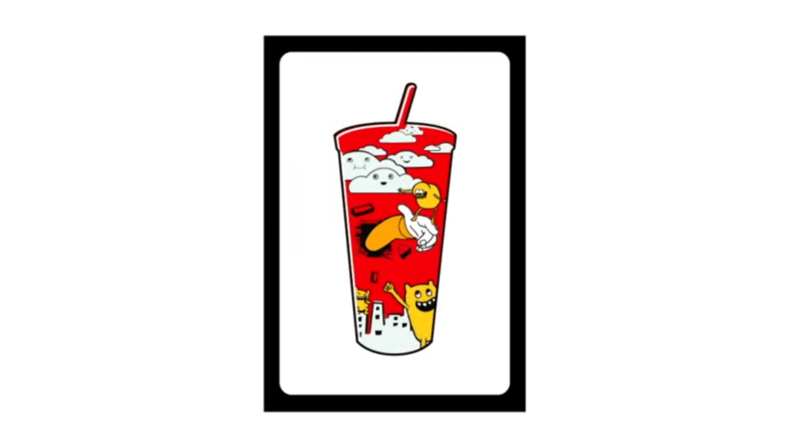 Over the next few months, patrons that buy a $1 soft drink can scan a bar code on their cup using a mobile device to unlock an eye-catching, rich-media animation that they can then photograph and upload to social networks, such as Facebook.